August 20, 2018 4:58 pm. Debut winner Brutal (right) is among the entries for the Listed McKenzie Stakes at Moonee Valley. After putting a space on his rivals at his Caulfield debut, promising colt Brutal is among the headline entries for the Listed McKenzie Stakes at Moonee Valley. Trained by Hawkes Racing, Brutal made had his first start as a late-season two-year-old in the middle of last month and dominated a 1200m-race against his own age to win by five lengths. Brutal won a jump-out at Flemington last Friday over 800m and is among 20 nominations for Saturday’s McKenzie (1200m) for three-year-old colts and geldings. There are six other horses yet to be beaten, including one unraced horse, among the entries including the Mathew Ellerton and Simon Zahra-trained stakes winner Marcel From Madrid who won his two starts as a two-year-old. Marcel From Madrid, a half-brother to Australian Derby winner Levendi, won at Benalla in late April before taking out the Group Three National Stakes (1200m) in Adelaide in May. The TAB has Brutal as the equal favourite in its fixed odds Caulfield Guineas market at $15 along with Group One J J Atkins Stakes winner The Autumn Sun. Marcel From Madrid is among a group of horses on the next line of Guineas betting at $18. Group Two VRC Sires’ Produce Stakes winner Not A Single Cent, a half-brother to triple Group One winner Happy Clapper, is nominated while his co-trainers Ciaron Maher and David Eustace have also entered Esthetic, a winner on debut at Terang in his only start in April. Esthetic is by More Than Ready out of 2012 Queensland Oaks winner Quintessential. 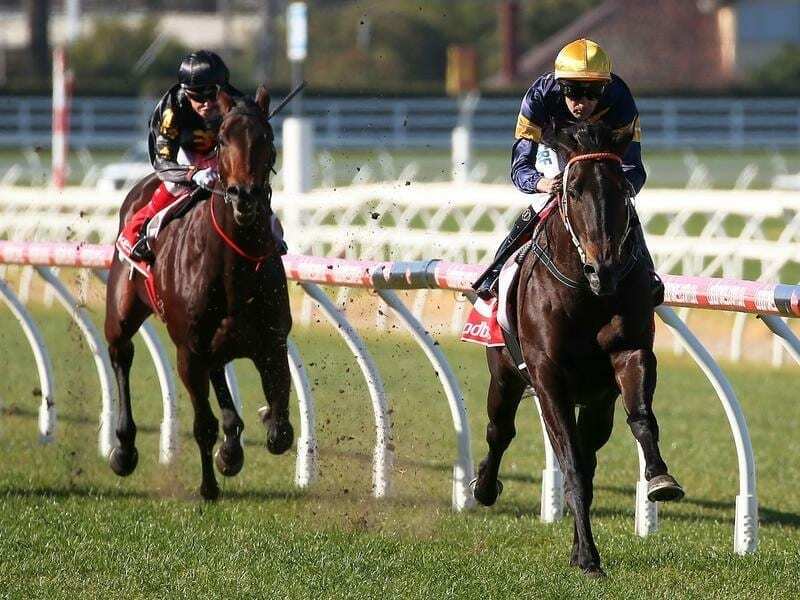 Ocean Knight is scheduled to make his return in the McKenzie having raced twice as a juvenile, winning stylishly at Caulfield in April before finishing midfield in the Listed Anzac Day Stakes at Flemington. “We gave him a bit of time because he was a little bit immature and I think it’s paid off,” co-trainer Ben Hayes said. “His jump-outs at Flemington have been excellent. He’s been sitting back and really hitting the line hard in the trials. The Lindsay Park stable has also nominated VRC Sires’ Produce Stakes runner-up Seberate. The McKenzie is one of two Listed races on the program with the other the Carlyon Stakes (1000m).